This day marks one year since I left my family home in between Glasgow and the West coast. Tl;dr: survived, thrived, content, continuing - come with? Quickly became a 'full-time' contributor to the yunity project. Stayed for over a week in Perigeaux, Malo, the Italian pre-alps, Cecina, Mainz, Chemnitz, Hamburg, Nürnberg, Berlin, Rotterdam, Heichelheim, Kirchheim, Darmstadt, Genève, Toulouse. Left: Cleaning dream team in Kirchheim Right: Giving Karl Marx a wee peck in Chemnitz. Exclusively stayed in free accommodation: tent, friends places, project spaces and abandoned buildings. Almost exclusively travelled by hitchhiking thanks to over 117 lifts. Almost exclusively ate free food from dumpster diving and foodsaving. Cumulatively spent ~1000 EUR. Gratefully received unexpected donations from LW, CS, AW and JM. Decided to open my finance data. Witnessed a total split in one project, the rapid decline of another and the decision for the co-founders of yunity to split off. Crash course learning into Dragon Dreaming, Scrum, Kanban, Systemic Consensus, Nonviolent Communication, Conflict resolution, Facilitation and other such. Became an impromptu Scrum Master for several weeks. Finally understand the very basics of l'internet. Performed an autofrenuloplasty (don't look it up if squeamish). Was in a pretty serious car crash, left with a single stitch (please do not ride with anyone driving too fast and please wear a seat-belt). Had unquestionably the most varied, colorful and immersive year I've had. I shan't bleed my heart over the rest of this text, but I could. Perhaps my greatest insecurity of living in the 'alternative world' is the possibility of disconnecting with the 'real world', that I am floating in a bubble. I would argue that everyone is in at least one bubble... so what's the problem with bubble-life anyway? I believe there is only a problem when an individual has opinions about how their external reality should be different, how it should change. If disconnected from the reality one seeks to change, the strategy for achieving that change will probably not be accepted or effective, and then you'll go into a huff saying something like 'why is everyone else so stupid not to adore me and my Excellent Plan?'. Since I do have a vision of how I'd like things to be different, it is really important for me to look through different bubbles and find those best strategies. Fear ye not of the CV-gap and lick not the rear of thy supposed superiors. Follow thy deep set dreams - should that lead ye to climb upon the career ladder, do so with boldness, detachment and without stepping upon the heads of thy colleagues. Know ye also that the laws and culture of the lands will shift to accommodate the unstoppable flow of change: build it better and they shall come, do not wait for the permission to do so. The successful ones in the 'real world' are more blue-sky than many of the people I've met in the 'alternative world'. Insecurity averted. yunity has been the my main occupation this year. A project with a vast scope to do great things, firstly to spread foodsharing all over the world. Foodsharing is about getting food edible for humans to be consumed by humans. It takes really a lot of effort to make human-food and currently about one third of it gets lost, thrown away, composted, biogassed, burned or fed to animals. (Sad-face). With the merry and ever growing band of nomadic and settled yuniteers I have the privilege to call friends, we have been working to spread information, build software, design social models, etc, etc and I have learned so much. The importance of having shared goals, agreed decision making processes, collective understanding, tolerance and so on. I have started to collect these learnings in small modular articles scattered on the project wiki. Left: A serious talk about stuff. You know, things. Right: Another successful bin raid. Yet many questions still remain... how to more completely accommodate the huge diversity between individuals in a unified project? Where is the border between personal and collective? How to decide on a decision making stack? (Stack overflow warning!) How to strike the balance between work and play? How to simply distribute limited resources without money with fairness and intelligence? What is the first step to unite the increasing number of similar projects? What next-generation legal entities should we construct to reflect new social structures, and how? Where is the best place for the first permanent yunity project space? What are the current entry requirements to the project, should they change? - I can safely say that I'm not bored. One concept I've been working on personally is that of 'Omnilateral Autonomy', "when all individuals and groups do as they wish without forcing other individuals or groups from doing as they wish." A lot people are very comfortable with the idea that individuals should be able to decide most things for themselves, but the question of how these liberated people can work together and move forward is usually left by the wayside: all the free people still having to do jobs they don't want to get things that they do. I think this gets to the core of my current interest, facilitating the people with the bright hearts to do what they really want. Some slides for the concept, rest here. So what next? Same as every day this year I guess: get up and go. Right now Western Europe is saturated by material wealth: whilst the 'money runs out', food rots and buildings crumble. Come and join in the game to redefine what economy means! It's really fun and everybody must win. Anyone wants to do something (awesome) and doesn't know what or where or how? Of any property that could be used to house people that want to work for free? Of any laptops <5 years old that could be given to some of my project worker friends? Someone who is a pro with semantic web technologies/open access data/etc? Since leaving Glasgow about 9 months ago I have been almost exclusively hitch-hiking. I decided to record each and every lift I was given and can tell you that I have now received 104 lifts! Hitchhiking is one of the reasons I've been able to travel all this time using very little money, so many thanks to all the lovely hitch-givers wherever ye may be now. On the topic of money, I have decided to openly document my cash for reasons not yet completely clear to me, but an interesting experiment for me for now. Whilst hitching I have met many people and had brief but intense talks with them. Something which becomes increasingly clear to me is that any fear of 'time out' or 'a gap in my CV' are things which I should never have worried about. I have been picked up by 5 company founders (Dog-washing machines, an airline, a fashion line (X 2) and auxiliary medical supplies) and several people working in the upper echelons of large companies. All of them totally calm, confident (not arrogant) and friendly. Some took 'years out' before going to uni, or dropped out of uni, or didn't go to uni, or told their company they were going to work half-time to have more personal time. Never were they concerned about me not following the 'straight path', none of them judgmental - just curious. So, don't panic seems to be very good advice. On the geolocationary side of things: I visited Tom and Urd in Toulouse, then did 2 weeks of yunity sprinting in Kirchheim and then a week of networking/renovation with YES initiative/Partycipation in Darmstadt where my dear brother Dunc paid me a surprise visit. Now I am in Heichelheim near Weimar to catch up with yunity. I'm looking forward to visiting Noomap, Meesteren and United earth in Rotterdam then returning to Heichelheim and meeting with my dear brother Jam before catching up with the Webb/Courtney/Beckmann/Shadbolt tribe near Paris. If you could do whatever you want, what would you do? They reckon over 10,000,000 properties lie abandoned across Europe - several of which I've slept in - and over 1/3 of the food produced for humans is wasted some of which I have hauled from bins and received from willing shop owners. Kind people don't mind giving lifts on journeys they are driving anyway, clothing bulges out of donation bins, furniture lies on the streets and people replace functional machinery for cosmetic reasons. In this light, the myth of scarcity terrifies me. Now I'm not telling you to quit your day job just yet, but please know that Europe cannot contain it's material wealth! Is it possible to rearrange the resources such that people can work better jobs for less time and get the medical care, resources and community they need? Surely yes. How? Well, that's the question to answer - people are working on it, but help is needed. More thoughts about money, the division of labor and the Good Life in my head and to come in future posts I think. 2016-03-16 Three weeks in Rotterdam for WuppDays #6. An incredible constellation of yunity, Noomap and United Earth working alongside each other in a property gifted by the Meesteren Foundation. Extensive reading of 'The Phenomenon of Man' by Tailhard de Chardin. I don't understand most of what he's saying, but it does feel like walking along the cusp of universal understanding. Seeing my most excellent direct family members and close friends again - I hope to see you all more frequently in future! Becoming completely engrossed in Twin Peaks. In the 'Express needs, wants and values' stage, individuals let each other know how they're feeling with regards to a specific question. This is helps people connect and really see what other people are feeling, not just imagine it. In the 'Form proposals' stage, individuals take their time to come up with ways to answer the question. They can do this by themselves, as groups, brainstorming, etc. 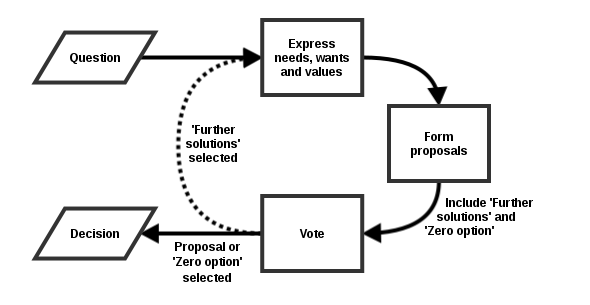 In the 'Vote' stage, individuals vote on the proposals. First past the post (plurality) voting that we're used to in the UK uses a single, positive, binary vote per ballot, whereas systemic consensus voting uses multiple, negative, scalar rating per ballot: people show their relative resistance to proposals. The one with least net resistance is selected. This has the advantage of selecting the outcome that most people can work on, instead of splitting the individuals into winners and losers. Already it has helped us come to conclusions, but we're still working on it. I would be very interested to think about how to make scalable versions of the system for larger organizations also. If you want to see the active development, check out the project wiki page on it. That's all for now folks. It's Christmas, I'm in Hamburg with some wonderful people and a mountain of reclaimed food - how did I get here? 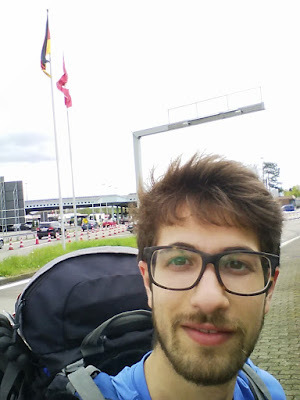 After hitching from Mainz to Chemnitz I participated in the third yunity project sprint. Things we achieved: began the search for a permanent project space, critically thought about how yunity will cater for the foodsharing.de users and updated the webpage content (including transaltion into German) - you can read more about it on the yunity blog. OK, the long term concerns aside, it was awesome: I had my own room, could write my thoughts on the walls, could change and improve things as I saw fit... all without cash. I actually felt it was my home. This situation massaged my mind in new directions: what would you do with your time if you had all the hours of each day free? Chemnitz is full of abandoned buildings, loads. Some district having upwards of 80 % abandonment. Check out property prices, you can pick up 40 room tennements in the middle of town with intact rooves for as low as €25 K. For anyone interested in housing cooperatives, the Miethäuser Syndikat of Germany is essentially the counterpart of Radical Routes in the UK, both providing financial support and advice for people wanting to start social housing projects. Anyone else want to live like royalty in Chemnitz with me? Again I saw more protests. Every Monday there is a pegeda march (right wing, anti immigrants, gay marriage, etc) and an anti-demo... Every Monday, over 200 demoers, over 100 police. In Chemnitz it's mostly peaceful but for the larger demos, especially with extrovert racist/sexualist/nationalist groups representing the 'right' there is often a lot of violence, typically between the police and the self-proclaimed antifascists. Stone throwing seems to be widely recognised as a poor way to make your point, especially if you're meant to be the good guys... I've decided being anti shouldn't be the primary driver for change. Either being anti, or anti-anti - neither lead to positive change. There are hundreds of thousands of people motivated to the point that they would jeapordise their criminal record and health to fight the badness in the world. That's the challenge then, how do you mobilise them to positive change? Yet more questions. Arriving at the self-proclaimed 'lovely people house' (liebemenschhaus) I felt like a soldier injured, coming in out of the cold into sanctuary. OK, that's a bit extreme, but it was a relief to be out of the Blablacar with the racist, seedy driver and into a clean house with, mattress, washing machine and kettle. The 100 % vegan zone had a basement packed with food and a good structure for keeping the place clean and together, and in fact it is the best-suburban living environment I've seen. 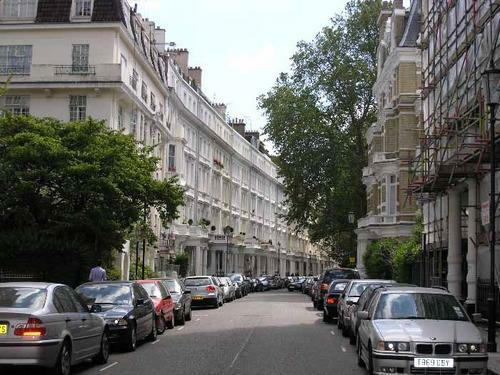 This was to be the location for the next WuppDays (residential project sprint) for yunity. I had tried to do some remote work with little success: intermittent internet access, intermittent power access, hitchhiking, etc. This was initially frustrating, but then I just told the team I wasn't able to work and I enjoyed my time much more. But now, with the team regrouped and a conducive working environment established, I was ready to jump into it. Where is the information we work from found? (i.e. out of the myriad of drafts we have strewn about). Good things happened: Work was started into clarifying what teams do, a project wiki was set up, a glossary was started, product development stages were defined, the first organisational policy was drafted and clarification on product features began. Work in progress. After a very intense week of work, we celebrated our achievements and finished another retrospective. I wasn't so happy with the whole thing, it just seemed to further extremify both sides. So Neel and I drafted a more positive song that addressed the two main points of conflict. To finish the day, I went and watched Daniel Craig beating people up for two hours in 'Spectre' with Kirstijan. All of this reminds me that I want to get back into Judo. A lot happened in these three weeks... I'll just tell you about three bits here, the rest in person. 2015-10-18: What to do after a month of project work? Why, hiking in the pre-Alps for a week my dear, the only thing really. Straight out of sleepy Malo and up the great big Monte Pasubio with Camille and Isabella, we traversed the Strada delle 52 Gallerie - a war-route carved into the mountain, 52 tunnels! They lived and fought those pesky Austrians from this tunnel system, through all the seasons. Mental. Camille and I went on to climb Monte Cornetto the next day, an incredible climb with hot sun at the top. On the way down, we had the cheerful prospect of another night in the tent (I love tents, but - no offense Isa - single skin tents are bad at best). But what's that! An abandoned mountain hut with working wood stove, spring beds and several bottles of 10-year old table wine? I kid thee not my friends... With the last feeble flicker of a lighter we begged, we set a fire in the stove and enjoyed the warmth. The Casa Cornetto 2005 (special 'tavola' release) was perfectly oxidised and paired wonderfully with our three-course meal of oranges, mackerel & bread then peanuts & chocolate. "Uh, hi! Sorry, just putting out my tent"
"Yeah sure, wasn't thinking about it"
"Thanks, but I'm only here for a night"
"Hey, I'm Doug, from Scotland"
Flashforward: One of my more memorable hitchhiking trips, in no particular order; drenched with rain, service station guys give me a free croissant out of pity, picked up in a classic Merc, picked up by a family of four, given the lunch of an Italian trucker, given coffee, beer, wine and a cigarette by a very cheerful Polish trucker - and to finish - an Italian guy goes 10 Km past his destination to drop me at the door of my destination. You people make my heart swell. 2015-09-27: One week in and the Dev team took me under their wing. I learned how to use git/github pretty quickly (the open-source standard for Version Control Software), set up the correct development environment with a little help and started learning some AngularJS (for the front-end, i.e. the bit you see). I was definitely in the deep-end, but learning fast. However, as the days progressed I realised that my time was probably spent better elsewhere and I drifted into communications and organisations tasks which seemed to be a better use of my time. 2015-10-12: In the last days, everything is a bit of a blur. People are tired but still working hard. Some of the optimists are a bit disappointed, but I was pretty impressed: to go from nothing to something in 4 weeks with 30 people who have just met, I think that's pretty damn good. The event finished with an Agile inspired retrospective led by Clemens which structured some good discussion on how to improve the working processes in future... simple and seriously useful - recommended for all project-minded people. 2015-08-23: Waking at the ungodly hour of 03:00 with the barbecued delicacies of the evening prior still digesting, the three of us bundle into the Zafira and Dan graciously drives the whole way down to the most picturesque place in Aubterre-sur-Dronne where we're greeted by John and Marilyn and welcomed into their home. The days pass easily, as we swim in the pool, eat well, read, bask in the sun, etc. The French countryside was incredibly abundant: figs, walnuts, hazelnutes, grapes - and all full of flavour. A trip to an incredible grotto (stalacmites and stalactites) with Dan and Maria and another trip to a Cognac factory (in Cognac) with Kate and Peter (yes, there were samples). All the fine things the region had to offer. "The difference between thee and me lad, is that we were born in different beds"
Expanded a window in a door. Opened a blocked window hole and fitted a window. Expanded an existing small window into a larger one. Restructured some of the guttering. Seeing these processes done from beginning to end was really interesting and greatly helped de-mystify the process of how to do things properly. Lots of small bits of information were picked up on the way such as how oak darkens in contact with strong alkali, how to judiciously used Portland cement (the grey one) and PU foam to best and full effect, mixing of lime mortar in different proportions, etc. I will go into some more detail on what I learned working with lime at some point, but for anyone else dreaming of doing up a quaint French farmhouse, Jerry had two big tips: Look out for vertical cracks (which indicate subsidence) and for sound roofing (roofing costs more than you think). Aside from the work, I gorged myself on the most perfect figs and walnuts, cycled about, read, and all the other fine things. The next day I leave Kensington and head towards Croydon - but not before have a beer with dear Frankus! I arrive at Dan and Marias for a later evening barbecue before heading much more Southernly.